Raunds Food Bank provide a range of support to the people of Raunds such as food parcels, debt advice, energy advice, addiction support, job advice, form filling as well as being a friendly place to come and chat over a cup of tea and slice of cake. 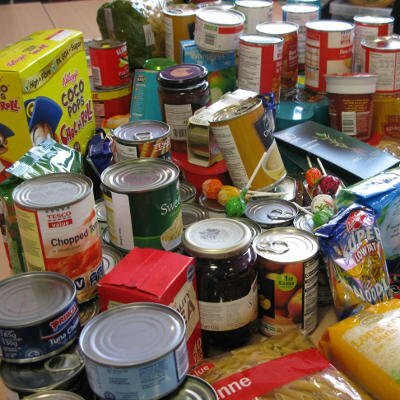 We can provide emergency food parcels to people who find themselves in a crisis. Struggling to pay the bills or managing debt? We can help clear your debt and manage your money. Paying too much for your gas or electric? We can help you find the right deal for you. Struggling to get back into work? We can help you find work and volunteer opportunities. Fighting to get free from addiction? We can provide support to help you find the key to freedom. Problem with prosecution or legal disputes? We can help you access legal support. Tricky forms to complete? We can help you complete forms and applications. Difficulty using computers or accessing the Internet? We can help you with our in-house experts. Whatever your needs please feel free to get in touch and find out how we can help you. Alternatively, simply drop in to visit us on Thursday morning for a cup of tea and a chat. Enjoy tea and cake or a hot bacon roll every Thursday 9:30 – midday. Can you spare time to volunteer? Do you have time to give back to your local community? We have a range of opportunities for volunteering.